WE'VE GOT DESIGNS ON YOU! Jet the dog, contrary to popular belief, is not a mobile dog grooming service but a small and perfectly formed graphic design agency based in the heart of the Bedfordshire countryside. 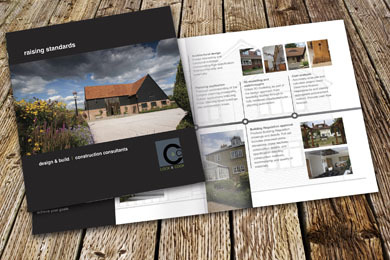 We specialise in design for print - and what we're really good at is brochure, catalogue and leaflet design. 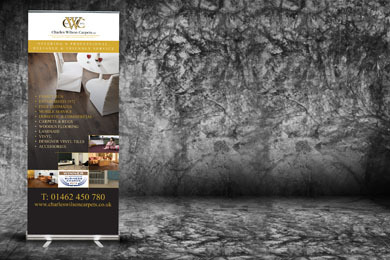 We design anything for print - from business cards to bus signage. If it’s printed in some way, then we can design it! 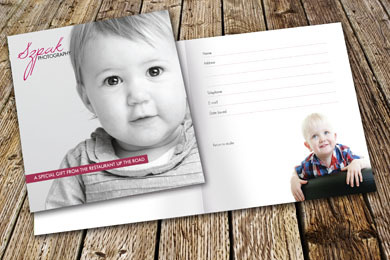 We even design downloadable pdf brochures and stuff for your websites - oh, and even the odd website too! At Jet The Dog we’re quite modest about our work - we know our clients like our work as they keep coming back... however we’re actually quite shy about shouting about it. So why not make your own mind up - take a look at just a small selection of work we’ve done recently… and if you like what you see, why not give us a call and find out how we can help you. Jet The Dog has done a magnificent job for our display stand and literature. We wanted something interesting, colourful and definitely eye-catching because the old graphics were too wordy and rather tired. We liked the personal approach where we were dealing with the same person throughout. I go straight to Helen when I need design work. She has a great eye, is hugely experienced and a real pleasure to work with. I'm happy to recommend her to anyone as she delivers such great quality and value. We have put all our work with Jet the Dog since the first time we asked her to design us something, because she always comes up with such fantastic ideas. Our only problem with her is that we always like everything she puts before us and this makes it so difficult to decide on the end product! But it's a very nice problem to have. In our industry finding the right partners to work with can sometimes be difficult. We create websites for lots of businesses and also provide ongoing marketing. One client required a 20 page brochure with many last minutes and Helen made all the changes necessary almost instantly and without charge. If you need anything designed, look no further. We have just used Jet the Dog to produce a banner for Charles Wilson Carpets, having heard so many good things about their service and creativity. The process from start to finish was quick, efficient and the final result is stunning. Jet The Dog has done a magnificent job for our display stand and literature. We wanted something interesting, colourful and definitely eye-catching because the old graphics were too wordy and rather tired. We liked the personal approach where we were dealing with the same person throughout. We were seeking ideas for a new presentation. Helen of Jet The Dog is a Bedfordshire-based graphic design agency run by Helen Nelson, a designer with over 20 years’ industry experience. A highly professional yet very personal, flexible and friendly service, promising excellent production quality time after time. Copyright 2014 jet the dog design.